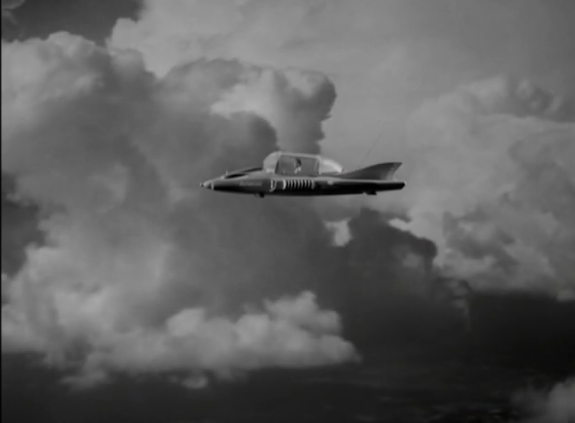 Gerry Anderson's Supercar (1961) is part of that artist's rich legacy of inventive and adventurous genre entertainment. 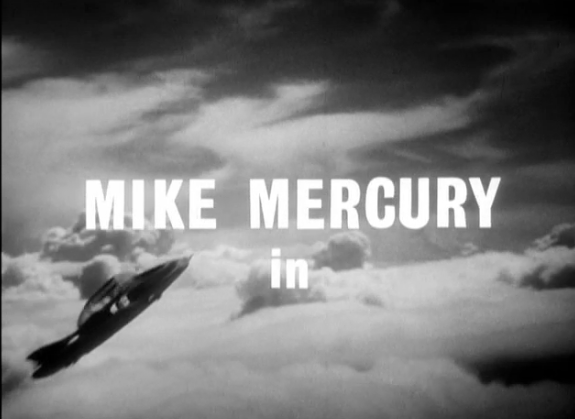 The series follows the adventures of pilot and hero Mike Mercury as he pilots "a marvel of the age," a flying rocket car. 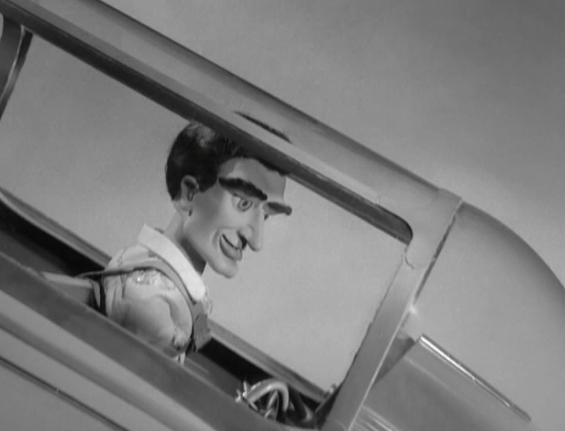 Importantly, Supercar was the Anderson series, late in its run, that first adopted the term "Supermarionation" regarding its highly-detailed puppets and their incredible miniature universe. 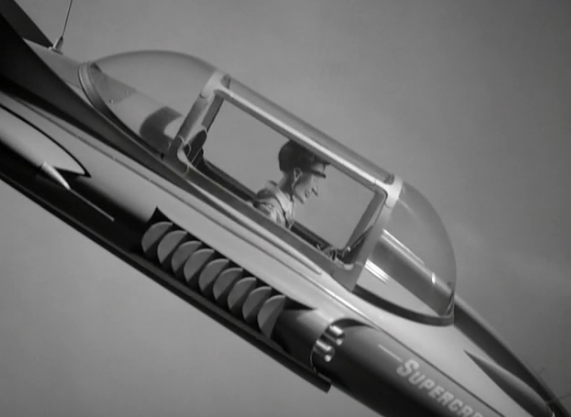 The real star of Supercar, however, is its amazing titular vehicle, an early sixties vision of the future that is still absolutely gorgeous in retro terms. 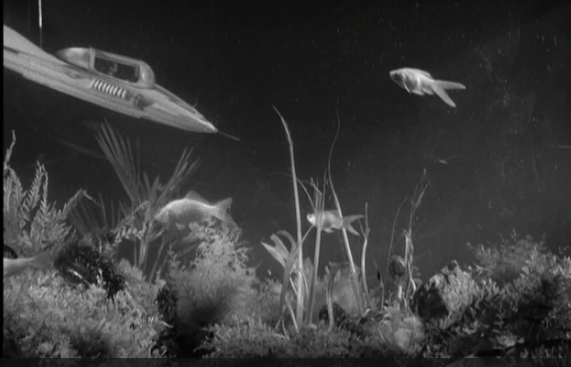 Not surprisingly, perhaps, the introductory montage serves a a heroic poem or ode...to the vehicle itself. 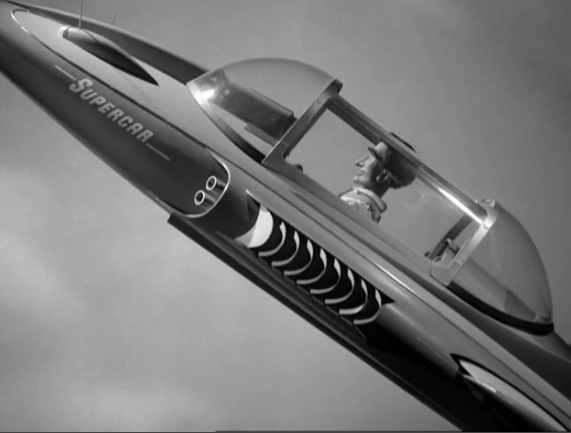 Supercar -- as the theme song informs us - is "as swift as can be," and it can "journey anywhere," even through the "Heavens' stormy rage." 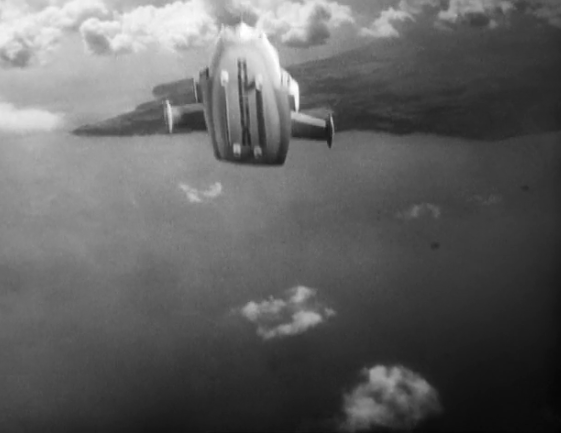 The introductory montage commences with Supercar in stable flight, but then, suddenly turning upwards, rocketing higher into the atmosphere. 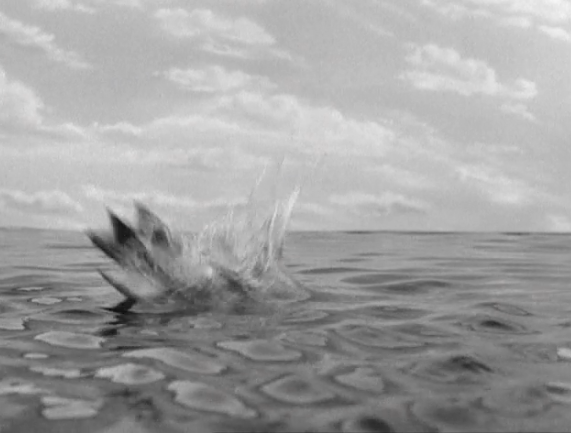 The sudden up-turn and acceleration is symbolic of the series' action. We are being prepped for an up-turn into adventure! 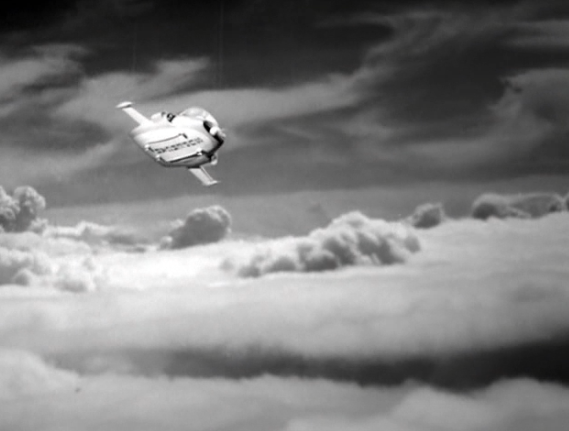 The images convey to us the feeling of "up, up and away." And in the montage, Supercar is never grounded, never still. It is always in motion, and this is a promise of an action-oriented spectacle. 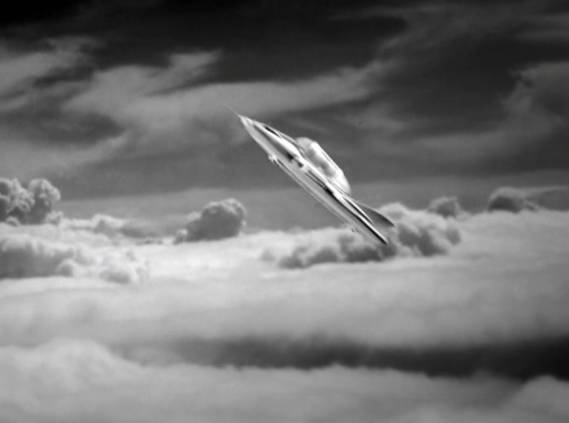 Next, after piercing the veil of clouds, Supercar pivots, and alters its course. 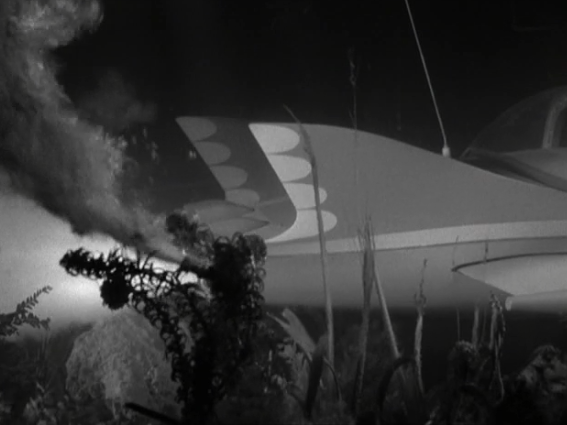 The theme song poem or ode describes the vehicle's amazing and futuristic capabilities, and the imagery goes along with them. 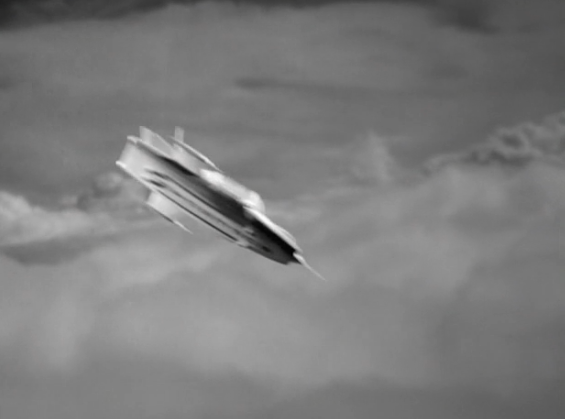 We find out that Supercar can head to space or "under the sea." 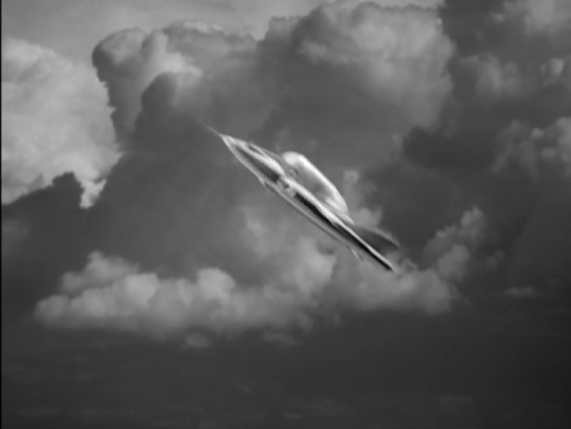 In the following set of images, we actually see that last capability made manifest (in what seems an early version of UFO's Skydiver sub/plane). Supercar heads down into the sea, and cruises with the fish. 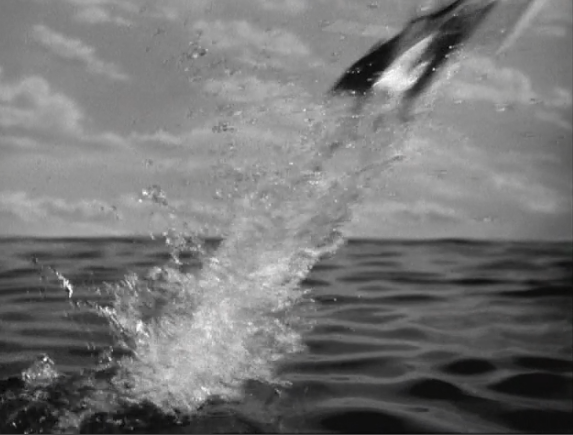 And then Supercar takes off (again, think Skydiver), and resumes is amazing flight in the sky. We are also introduced, in the following imagery, to Mike Mercury, Supercar's pilot. But make no mistake, it is the vehicle itself that is the star here. Supercar can and will take kids of all ages to the heights of adventure, the depths of danger, and into the Heavens. Here's the intro in all its glory.